For most people an Antarctic cruise is a once-in-a-lifetime experience, which means you've only got one shot to get it 100% right. Distilling over a decade's worth of experience as Antarctic specialists, the following questions are designed to help you ask the right questions, in the right order, to help you find the right trip. 1. Which Year to Travel? Planning ahead for your trip to Antarctica is crucial, not least as the most popular departures and ships start to book up as soon as they become available around 18-20 months in advance. So the first question to decide is which year you intend to travel south. Note that Antarctic cruises only operate late October through to March, during the Austral summer when it's winter in the Northern Hemisphere. Start exploring your options for travelling in 2019 and 2020. 2. When do I need to book? In short, it's a case of ‘the earlier the better’. To be confident of securing your first choice you need to be booking at least 10 - 18 months in advance; this is doubly important for the most popular trips and during peak times like the Festive Season. Being organised and booking ahead also means you may be able to take advantages of any early booking incentives. However, we know that many people aren’t used to planning holidays or simply aren’t able to commit to set dates this far ahead and it's perfectly possible to book an Antarctic trip only 3 - 6 months before you go. But expect to have less choice if you do due to restricted cabin availability. Ready to start planning? Get in touch and start the conversation with one of our experienced Polar Specialists who can help guide you to exactly the right trip for you. 3. How to get to Antarctica? So you’ve decided to go to Antarctica, but now need to start looking at the logistics? Covering where you need to fly to, where these trips start from and the options available of how to actually arrive in Antarctica (fly or sail? ), our Guide to How to get to Antarctica will help to answer your questions. While sailing to Antarctica is the traditional route, and remains the most common, for those time short travellers or anxious sailors, Flights to Antarctica are becoming increasingly popular. 4. Choosing the right trip? This is an important question. There’s an exciting selection of Antarctic cruises to choose from ranging from 6 - 35 days in duration. 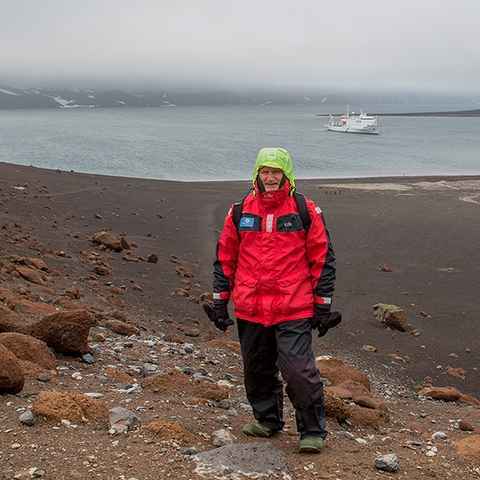 Our Guide to Antarctic Cruises is a good place to start in understanding the different trips on offer, whether you are considering the Antarctic Peninsula, the Polar Circle, South Georgia or the Ross Sea. Alternatively, simply Get in Touch with one of our Polar Specialists who can talk you through the options and help speed up the process of matching you to the right trip. 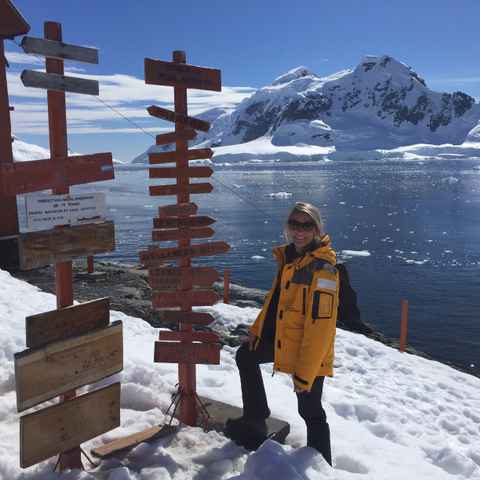 A trip to Antarctica is a big ticket item in anyone’s book and it's important to understand from the outset what to expect and what influence on the final cost options you're considering will have. Swoop’s Guide to Antarctic Costs offers a comprehensive introduction to help you understand the likely costs and to accurately budget for this trip of a lifetime. 6. Which month to visit? There isn't a definitive "best time" to visit Antarctica - each month during the visitor season of Nov - March has its own particular nuances in terms of weather, wildlife, ice and light conditions. Read our definitive guide on When to Go, which includes detailed notes on each month, plus our Weather Guide & Wildlife Guides. 7. What wildlife will I see? This is a great question, as wildlife lies at the heart of every Antarctic trip. On the Antarctic Peninsula you’ll get to see loads of penguins - chinstraps, gentoo & adelie - in their hundreds, if not thousands, as well as a number of different species of seal. You’ll also almost certainly see whales, with minke, humpbacks and orcas being the most frequently sighted. Our Antarctic Wildlife Guide provides a useful overview of each species you’re likely to encounter and what each is doing as the brief Antarctic summer progresses. For the real wildlife enthusiast, South Georgia - one of the world's great wildlife meccas - is the ‘Serengeti of the Southern Ocean’. If you can afford both the extra time and the larger price tag for these longer voyages, the answer to the question of ‘Should I include South Georgia?’ is: most definitely! 8. How to decide which ship? Given the amount of time you’ll be spending on board ship, it's crucial to choose the right ship. We work with 21 different vessels offering you a wide choice. Our Guide to Antarctic Ships, which includes useful tips, profiles of each ship and some short videos, will help you find the right ship. 9. Is there Kayaking & Camping? There certainly is! For those travellers who really want to maximise their Antarctic experience, there’s a glittering choice of exciting add-on adventure activities available. The choice include camping out on the ice for a night, snowshoeing, kayaking and mountaineering. Note: These aren’t all offered on every trips, so check if you specifically want to do a particular activity. 10. Can I combine with Patagonia? Almost all Antarctic voyages depart from the southern tip of Patagonia, providing an unmissable opportunity to also explore this captivating region before or after your cruise. It’s a brilliant and proven combination. As both Patagonia and South America specialists, our sister company Swoop Patagonia, can provide you with ideas and help with booking this part of your trip. This has the advantage of all your travel plans coming under one roof, ensuring that nothing is missed or overlooked. With a dedicated Flights Department, we can also help you to book flights. Excellent service from the first contact right through the process. Very happy with the boat and the cabin. We are well travelled, but Antarctica far exceeded our expectations. It was outstanding! For me, the bottom line is that I was much more comfortable making travel decisions on a trip of this magnitude because of the assistance Swoop was able to provide. I'd recommend them to a friend for sure.